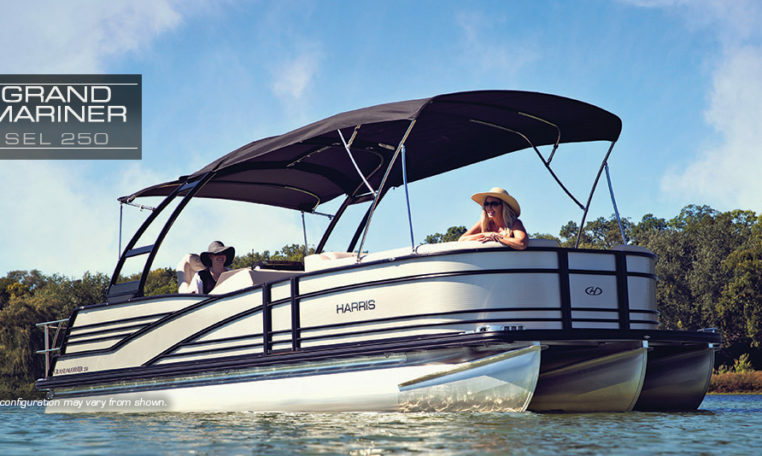 Experienced pontoon boat owners appreciate the Grand Mariner Series for many reasons: sleek styling, thoughtful appointments, cutting-edge technology and proven performance — particularly the option for sterndrive power. 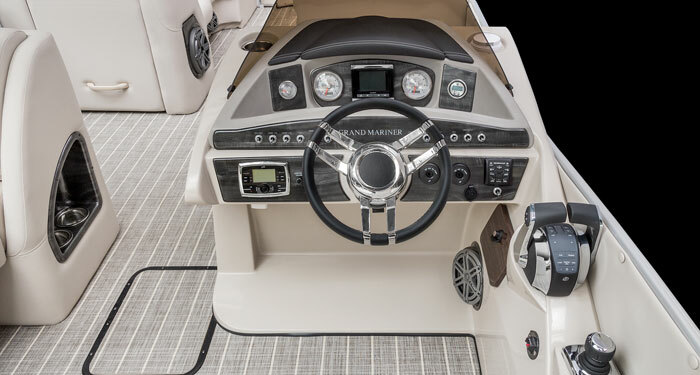 We guarantee the Grand Mariner SEL 250 won’t disappoint. 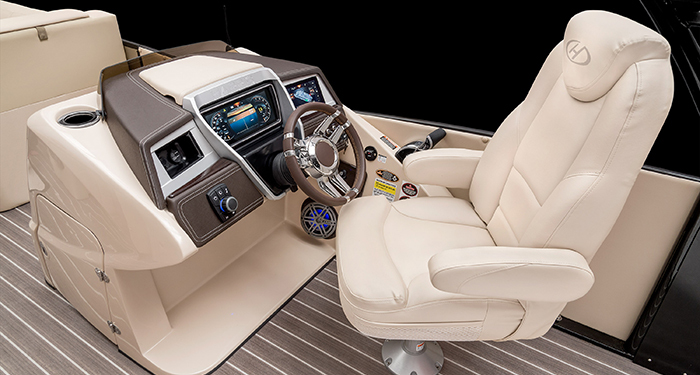 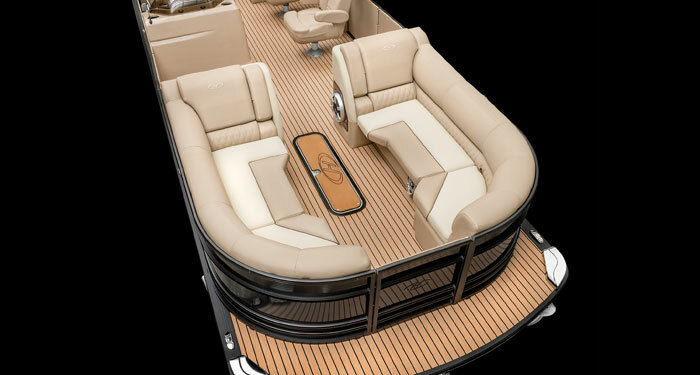 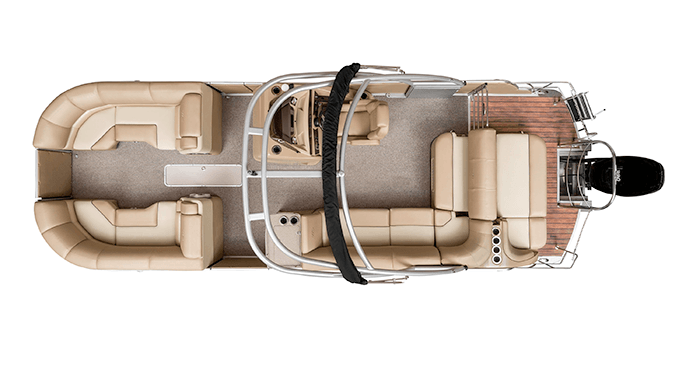 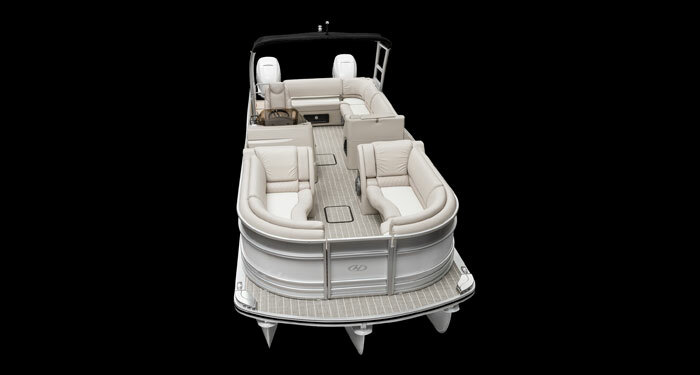 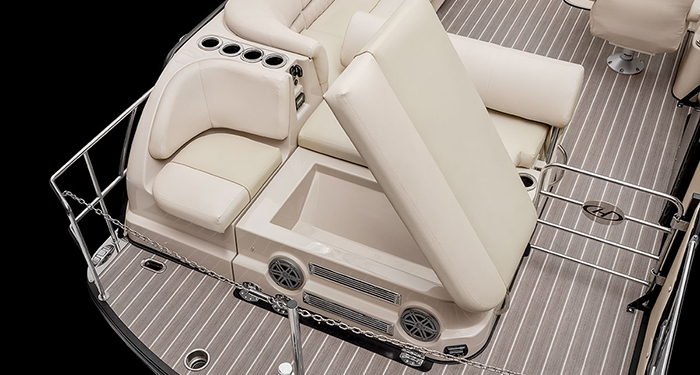 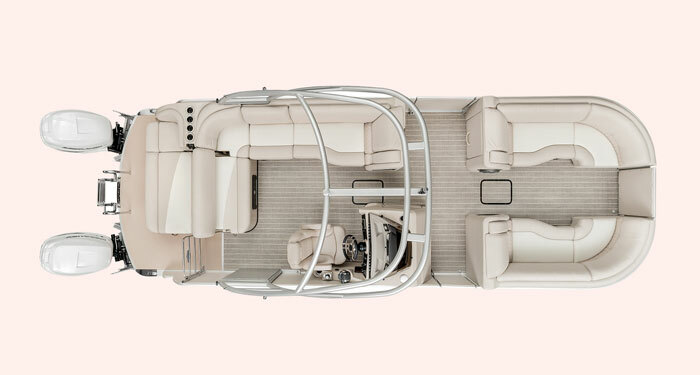 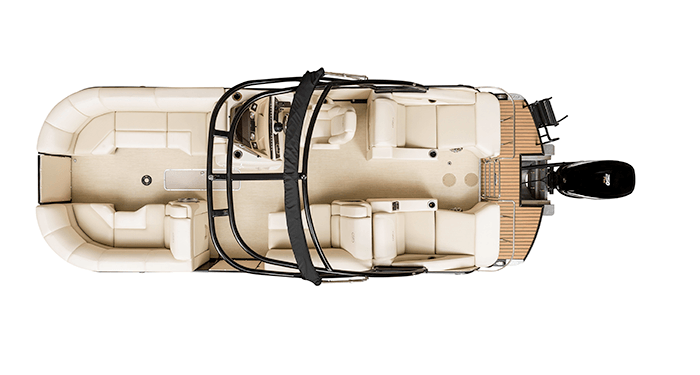 The SEL 250’s open floor plan offers two spacious bow lounges, amidships lounge opposite the UltraLux high-back reclining helm seat and a luxurious rear-facing lounge with flip-top backrest. 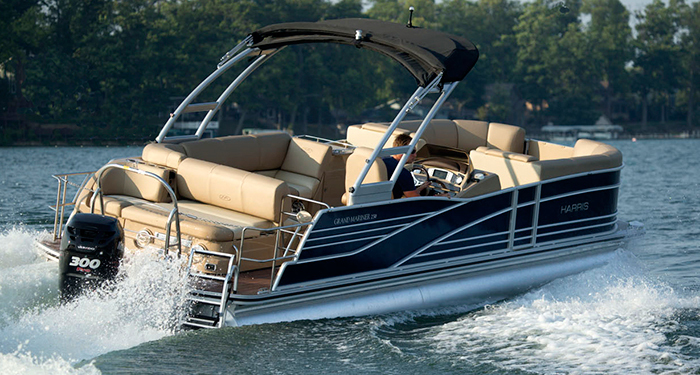 Plus, it has an open transom for easy access to the swim deck, with an optional stainless steel railing. 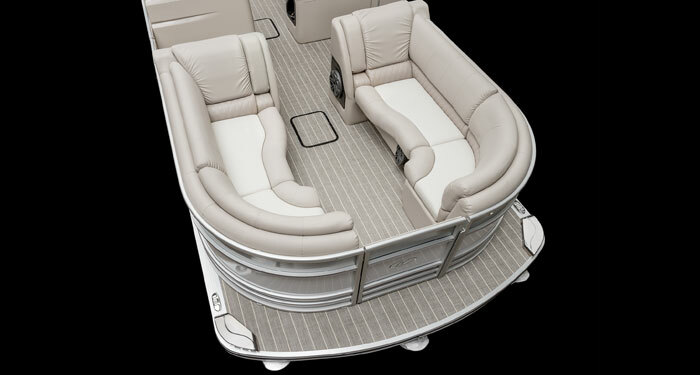 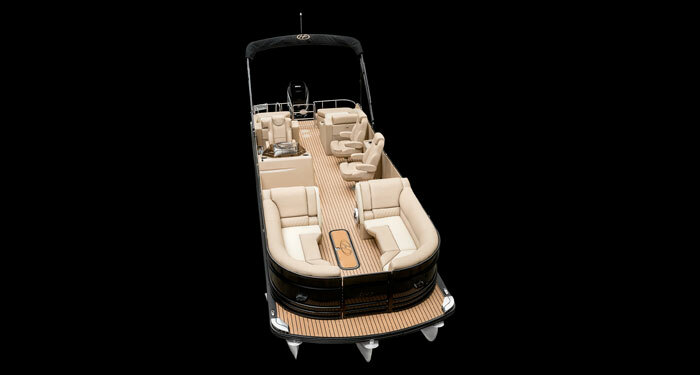 If you prefer, you can replace the portside bow lounge with two UltraLux bow seats and a flip-up table. 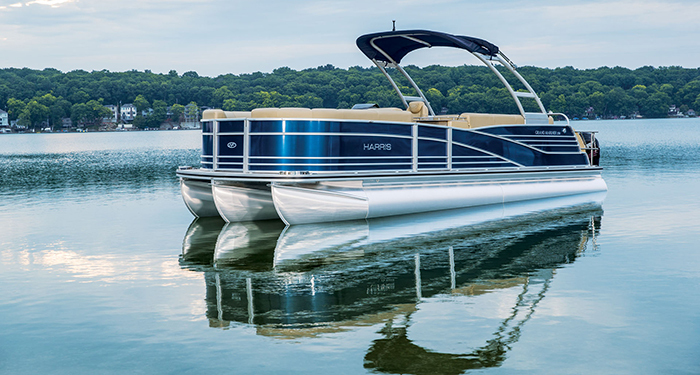 Because Harris understands the needs of the Grand Mariner customer, the SEL 250 comes equipped with a ski tow pylon and performance package. 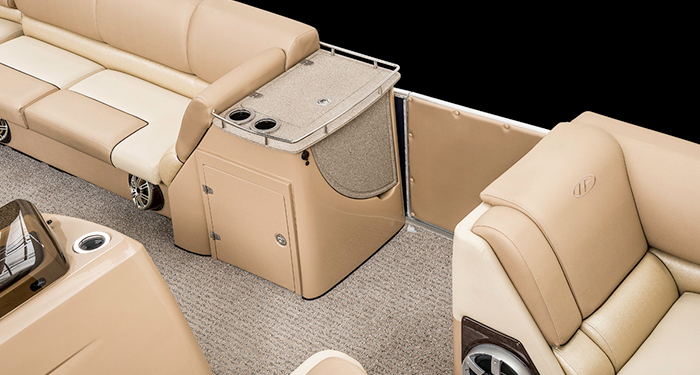 Owners also may elect to add the available ski locker and changing room with privacy curtain. 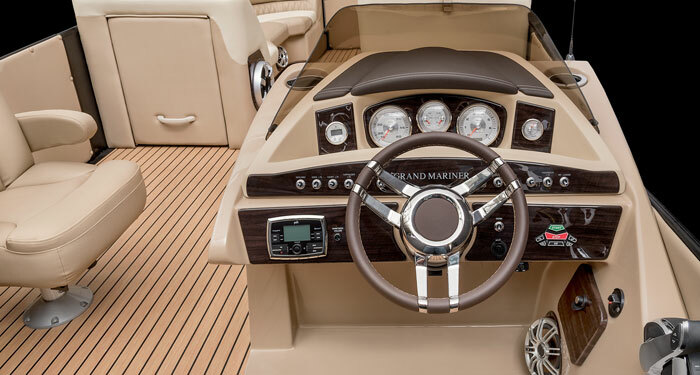 And then there’s that stern drive power offering 350hp, and with easy engine access. 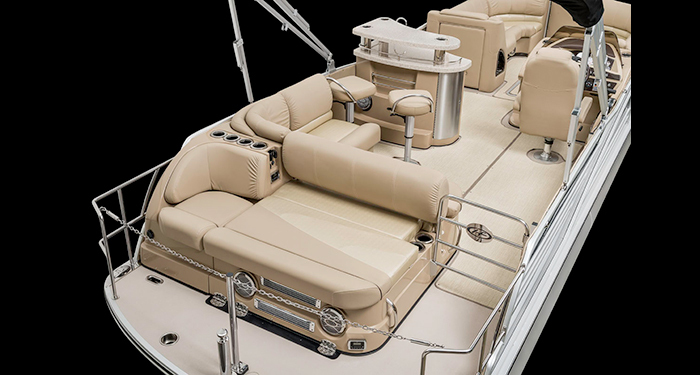 The SEL 250 is where technology, naval architecture and true on-water livability meet luxury, handling and style, without sacrifices and fuss.